Well that’s an anti-drinking advert if ever I saw one. 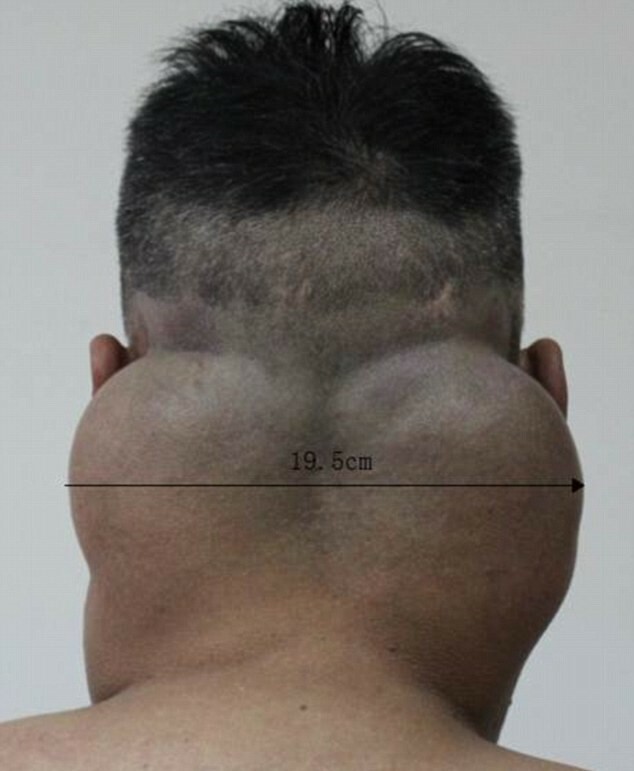 A man in China developed a ‘horse’s neck’ after drinking one litre of hard liquor every day for thirty years, according to the Daily Mail. Hong Shu drank up to two litres of bajiu, a Chinese spirit, every day – it’s made from rice and grains, and can be anywhere between 40 and 60 per cent. 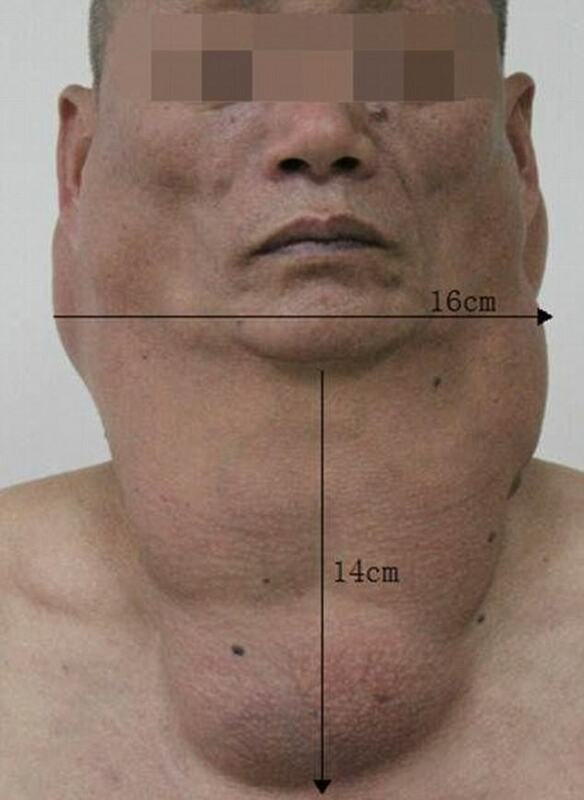 This led him to develop the rare Madelung disease, which caused him to accumulates large fatty deposits round his neck. The 53-year-old’s throat had swell to over six inches wide and about five and a half inches in length. Hong has now undergone three surgeries to remove the fatty deposits, and is said to be recovering.